Martha Stewart has a few great projects for fall. The three projects feature a range of the Martha Stewart Craft Projects. 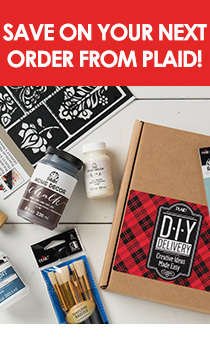 Products feature the new Martha Stewart erasable liquid chalk, Martha Stewart decoupage line and Martha Stewart craft paint. Martha Stewart Crafts New Erasable Liquid Chalk is truly magical! It can be applied easily straight from the bottle, won’t smudge, and erases easily with a damp sponge. It’s perfect for creating re-usable chalkboard menus and when paired with our fabulous silkscreens or stencils, you can achieve that coveted, hand lettered chalkboard art look for your next party! Have a dinner party with your family or friends using the Martha Stewart Decoupage Fall Tablescape. Features the Martha Stewart decoupage. Serve your guests with the festive fall Ombre serving spoons. Featuring Martha Stewart Craft paint. Find these these and other projects on the Martha Stewart section of the Plaid website.